Former Vice President Joe Biden tomorrow will push back against "Universal Basic Income," or UBI, one of the most popular suggested solutions to the massive eradication of jobs that's feared because of automation. UBI is a check to every American adult, but Biden thinks that it's the job that is important, not just the income. 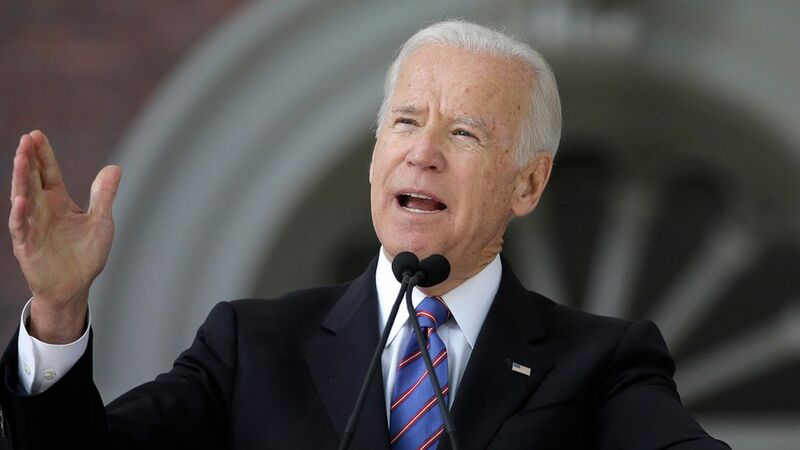 In a blog post tomorrow timed to the launch of the Joe Biden Institute at the University of Delaware, Biden will quote his father telling him how a job is "about your dignity. It's about your self-respect. It's about your place in your community." Why this matters: UBI is seen as a solution to growing inequality and unemployment driven by technological change that's gained credence among some tech executives and investors. Hillary Clinton considered making it a part of her 2016 presidential campaign. The Biden institute's emphasis the first semester will be the future of work and Biden will host an event at 4 pm Tuesday in Wilmington, with speakers including Biden; Elaine Chao, the secretary of transportation; and Mary Kay Henry, president of the Service Employees International Union. It will be livestreamed here.